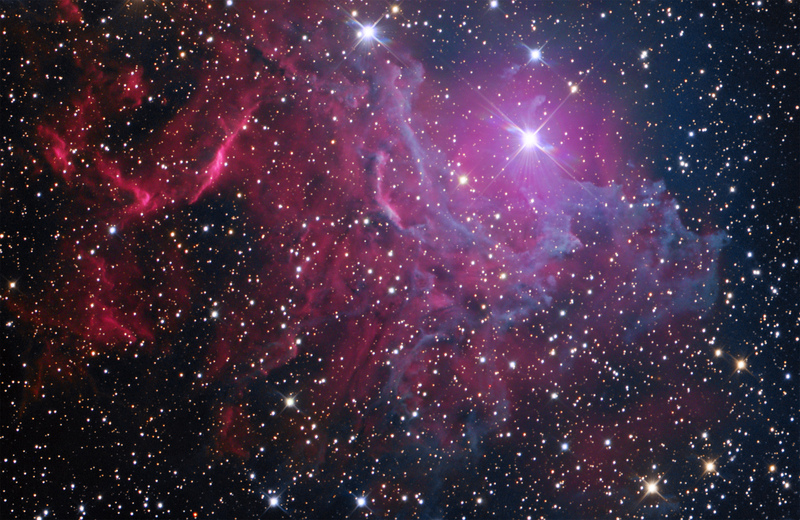 The Flaming Star Nebula in Auriga is a brilliant emission/reflection region excited by the bright, young ruanway star, AE Aurigae. Rob Gendler provides an excellent overview of this object (click here). Published in Practical Astronomer, February 2008 as the cover image and two-page spread, pp 34-35.